The Mennonites still build these barns. It's quite an impressive sight - 100 men in black squaring timbers, cutting mortise and tenon joints, assembling and raising a post and beam structure. But, apart from Mennonite communities, these traditional Ontario barns are disappearing and, of those remaining, many are falling into disrepair. From the late 1800s through much of the 1900s, this was the standard style of barn construction. 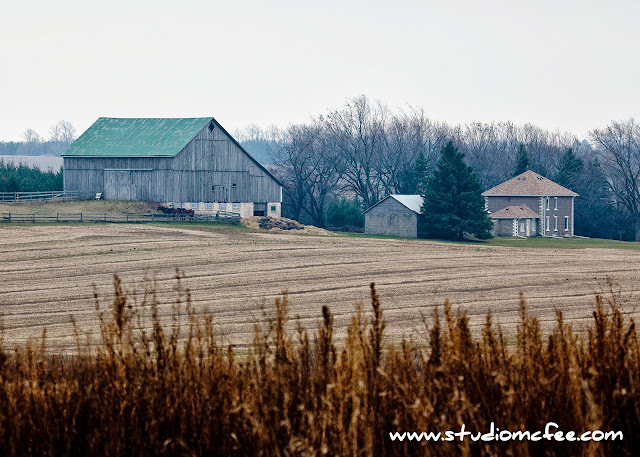 As decades passed, the older barns began to be replaced with more modern structures. 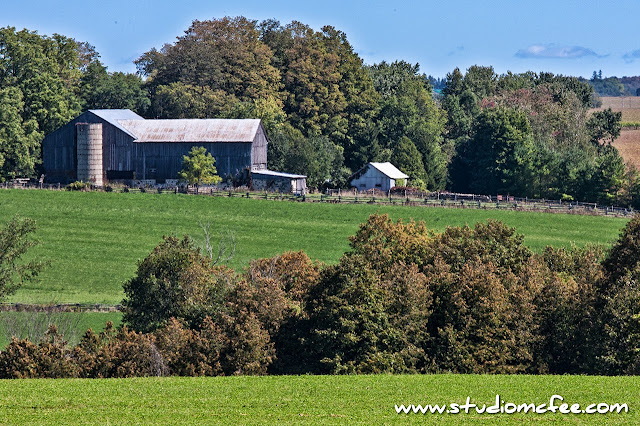 In my recent travels, it is getting more difficult to find old barns in good shape. Farming has changed from a time when hay and straw were stored upstairs while livestock occupied the lower level. For many farmers the old barn just doesn't meet the needs of today. These iconic structures defined rural Ontario for over a century. It is disappointing to see them disappear.